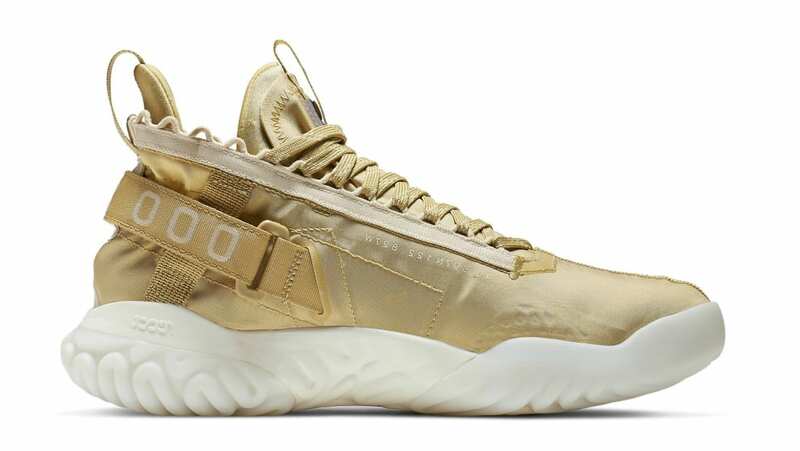 As part of Jordan Brand's Flight Utility range, this Jordan Proto-React will don a vibrant gold textile mesh upper, heel strap, tongue, and laces, which sits atop a white React cushioned midsole. Release date is Apr. 1, 2019.